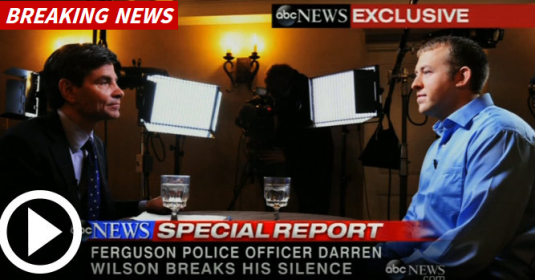 BuzzCanada: Ferguson: Officer Darren Wilson Opens Up "I did nothing wrong and I'd do it again"
Ferguson: Officer Darren Wilson Opens Up "I did nothing wrong and I'd do it again"
Officer Darren Wilson says he has a clear conscience over the shooting death of Michael Brown, and would do it again if he finds himself in the same situation. He spoke with ABC's George Stephanopoulos and said that if it'd been a white person he still would have fired his gun, that race had nothing to do with it. He said Brown had reached into his patrol car and attempted to grab his gun, and the teen had charged at him which is when he began shooting.